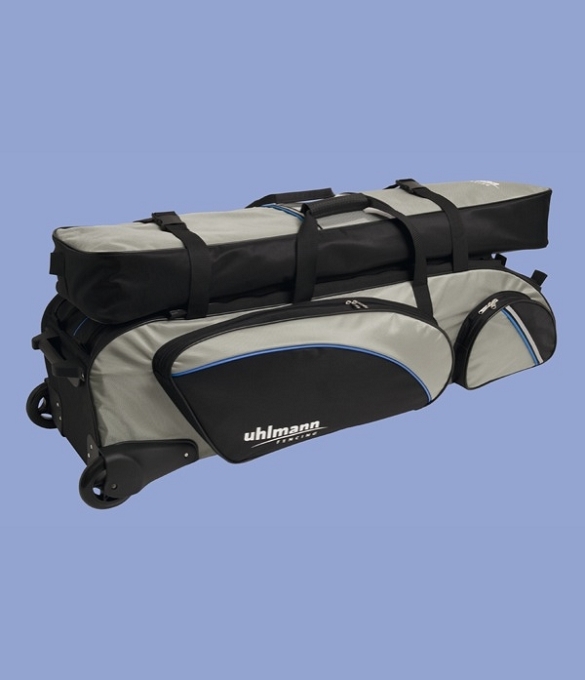 Uhlmann Jumbo Special Rolling bag has 2 main partitions, 1 high-top bag to be fastened with zippers and belts. There are 3 outside pockets and 1 transparent pocket. The bag is made with solid metal frame long-lasting inline-wheels.